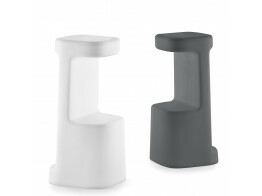 Modern outdoor/indoor polyethylene Serif Bar Stools suitable for contract environments. 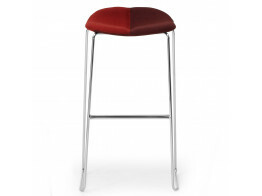 Happy Bar Stools with auto return mechanism on the swivel base version. 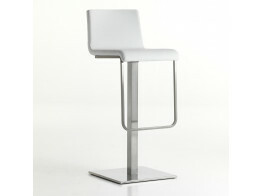 4-Legged version is stackable. 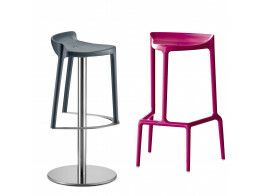 Gliss Bar Stools are contemporary and minimalist fixed height seats with central or sled base. 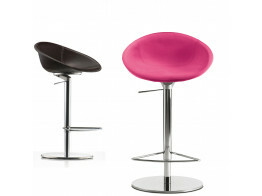 Kuadra Soft Barstool are part of the Kuadra XL Soft Seating series, Various designs and colours available. 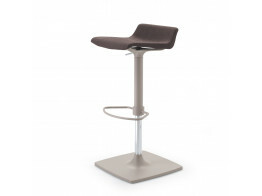 Qool Stool superior comfort is provided by its moulded cold foam seat with spring system. 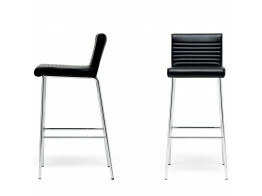 In fabric or leather. 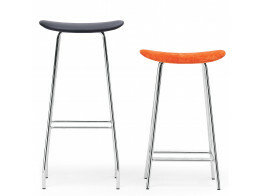 Duo Bar Stool is characterised by the seat of two halves; choose different upholstery colours for each half. 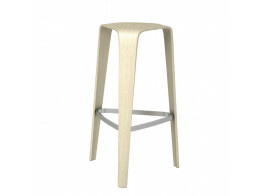 Cornflake Stool features a chromed frame with footrest in medium and high versions. Nordic Swan labelled.